Michelle Rene is also known by two other pen names, Olivia Rivard and Abigail Henry. Michelle is the award-winning author of the Historical Fiction novel, I Once Knew Vincent. Altogether, she has written multiple novels, novellas, and short stories that span from literary to humor to fantasy. When not writing, she is a professional artist and all around odd person. She lives with her husband, son, and an ungrateful cat in Dallas, Texas. To learn more about her writing and where to buy other books, please visit her website. 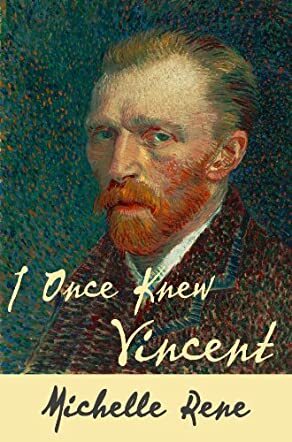 I Once Knew Vincent by Michelle Rene is the story of two people whose lives were less than perfect. The novel is about Vincent Van Gogh, the acclaimed painter, and a woman named Marie. The story follows them when they are expecting nothing stellar to happen. Marie is in a tough situation; she is dealing with her prostitute mother who is an alcoholic as well. Poverty is slowly taking over their lives and there is not much they can do to stop it. Vincent wants a break from the tough world of art and to have a family of his own. When he is brought to Maria's house, he has no idea that he will find a friend in her. The three of them become a family and Maria becomes his critic, a secret critic whose criticism helps him understand his art. But Vincent's friendship teaches her invaluable lessons. These lessons reformed her whole life! It would not be wrong to say that this novel inspired me. I really love it when writers are able to move me just with the way they write. When I find a novel that is written as beautifully as this one, I know immediately that it will be good and Rene did not disappoint me. This beautifully constructed and carefully crafted novel oozed with her love for writing. You can tell when the writer has enjoyed writing, and that made me enjoy it too. I really loved this novel!